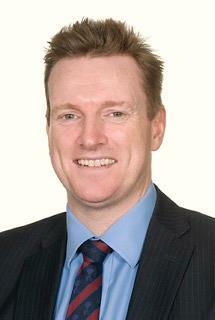 One of the Trust’s top surgeons has been voted Clinical Trainer of the Year by his students for the fifth year in a row. Kevin Wembridge, a Consultant Orthopaedic Surgeon at Rotherham Hospital’s Trauma and Orthopaedic Department received the accolade from final year MBBS Medicine students from the University of Sheffield, who vote for their favourite tutor every year. The award was established five years ago by Professor Nigel Bax, Dean of the University’s Medical School. Mr Wembridge, who joined the Trust in 2006, said: “Some of the young people I teach in years to come will be looking after you, your friends and family so I think it’s important they are able to access the best training possible. “A lot of hospitals don’t do orthopaedic training and many GPs haven’t had any further orthopaedic training since they studied medicine and became GPs, so it’s about investing in their future and skills. Congratulations on your award Kevin. We are holding an Open Day on 29 Sept, 10-12 & 2-4. There will be talks, stands, live simulation & clinical skills. We are currently advertising a Leadership & Quality Improvement Fellowship for existing HEYH trainees. Closes 15 Sept. The BMJ are visiting us on the 27th of August and would like to meet with trainees. 12.30pm in the Listerdale Room. The media makeup depart @ RACT has been shortlisted for a Beacon Award from the AoC because of the partnership with Rotherham simulation. For TRFT staff only. Difficult Conversations- Communication Skills Course Stay Connected. 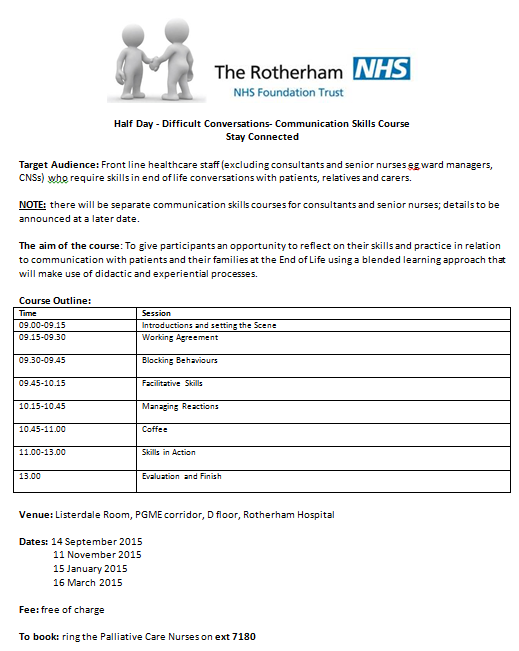 Courses held at Rotherham Hospital on 14/9; 11/11; 15/1; 16/3. Save the date: Medical Education Centre Open Day, 10-4 on Tuesday 29 September. Talks, stands and live simulation and clinical skills. INCASE course in the Rotherham Simulation Suite - open to Rotherham trainees. Interprofessional Non technical, Clinical & Assessment Skills in Emergencies. INCASE Course dates and details. For all new junior doctors starting at TRFT. View training times and dates. Welcome to all the new F1s! We hope you enjoy your time here. Find out more about our Foundation office and staff.